AmazonSmile is a simple and automatic way for you to support the Junior League of Birmingham every time you shop, at no cost to you. When you shop at smile.amazon.com Amazon will donate a portion of the purchase price to the JLB. 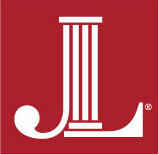 Simply select the Junior League of Birmingham as your charity of choice.